IN 1875 a workman in the Procter & Gamble plant in Cincinnati went to lunch and forgot to turn off the soap-mixing device. Paddles kept beating the mixture until it was foamy and when the foreman discovered it he blew his top. The batch was ruined, he insisted. Harley T. Procter, son of one of the founders, didn’t think so. He made it into bar soap, put a groove across the middle of each so it could be broken in two and the bars sold like hot cakes. But the new soap needed a name. On a Sunday morning of the same year, Procter was in church but his mind wandered to more mundane matters. The preacher read from the bible, “Out of the ivory palaces whereby they have made thee glad.” That was it. “Ivory” was stamped on every bar that left the factory thereafter. 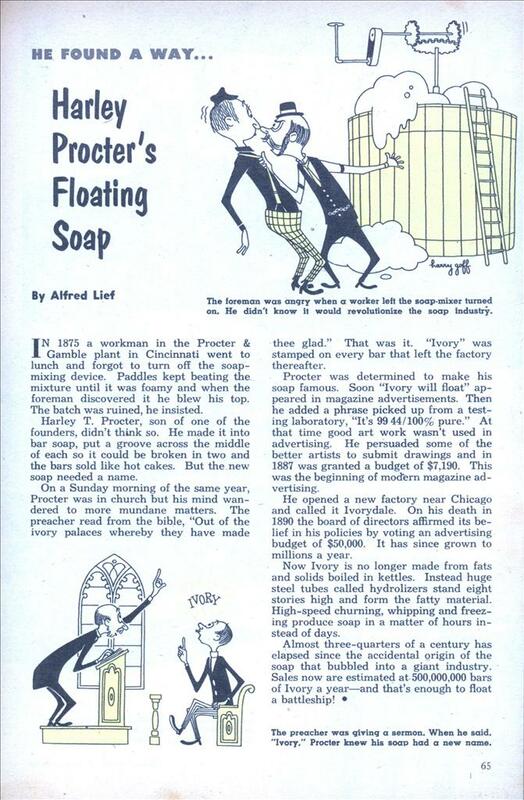 Procter was determined to make his soap famous. Soon “Ivory will float” appeared in magazine advertisements. Then he added a phrase picked up from a testing laboratory, “It’s 99 44/100% pure.” At that time good art work wasn’t used in advertising. He persuaded some of the better artists to submit drawings and in 1887 was granted a budget of $7,190. 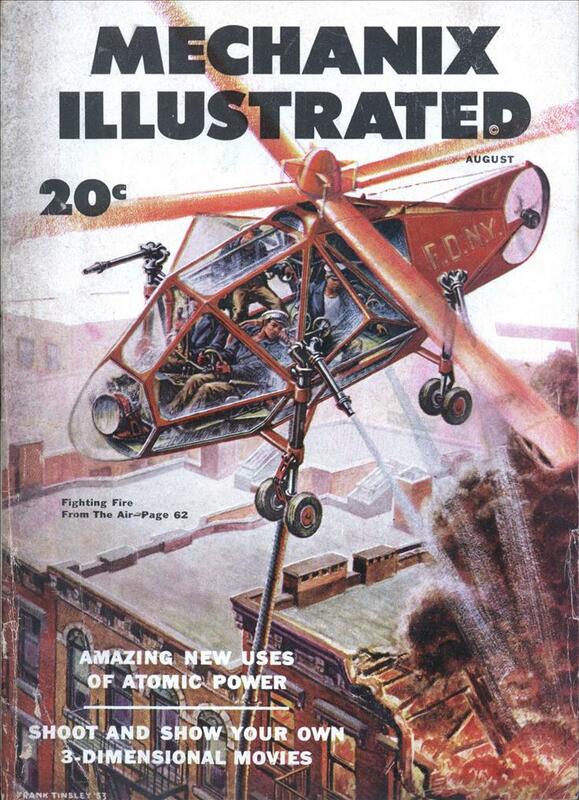 This was the beginning of modern magazine advertising. He opened a new factory near Chicago and called it Ivorydale. On his death in 1890 the board of directors affirmed its belief in his policies by voting an advertising budget of $50,000. It has since grown to millions a year. Now Ivory is no longer made from fats and solids boiled in kettles. Instead huge steel tubes called hydrolizers stand eight stories high and form the fatty material. High-speed churning, whipping and freezing produce soap in a matter of hours instead of days.